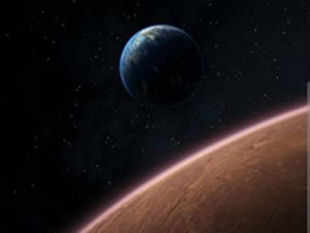 The Indian space agency's Mars Mission, launching next week, is the cheapest by any nation to the red planet. And there are attributes unique to ISRO that enable it to practise frugal engineering at the cutting edge time and again. To understand the spirit of India's Mars mission, it is useful to look first at the country's moon mission in 2008. The Chandrayaan-I project, as it is known, was announced in 2003, by the then-prime minister, Atal Bihari Vajpayee , in 2003. The Indian Space Research Organisation (ISRO) had partners, the Europeans and Americans, who had their own experiments to f ly in Chandrayaan. Some of them were puzzled by ISRO's style of working. They were just 18 months away from the launch date, and ISRO was only beginning to cut metal. One of the foreign partners had then asked ISRO managers: "Are you serious?" The spacecraft f lew as planned in November 2008, operated for 312 days, and achieved most of its objectives. ISRO's partners, pleased that their instruments were working fine, tacitly acknowledged the value of the organisation's minimalist approach. "The told us after the launch," says M Annadurai, project manager of Chandrayaan, "that this was the Indian style of working". It was a tested method in ISRO, perfected over decades, and it is now being used to maximum effect in Mangalyaan: save time, money and human efforts throughcareful planning. 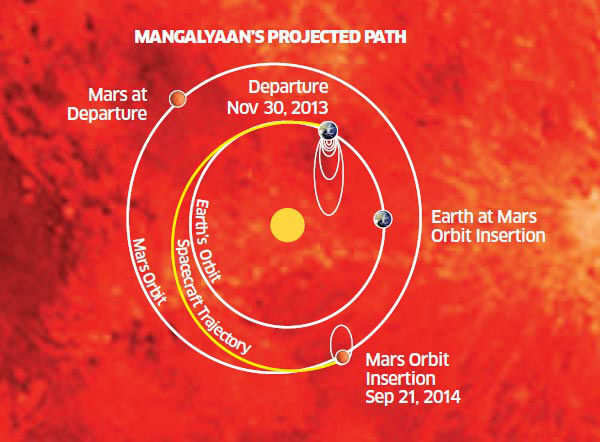 NASA's MAVEN, a Mars mission nearly identical to Mangalyaan and to be flown on November 18, had taken at least five years of work and $679 million in costs.If the Mangalyaan launch is successful, ISRO would have done it in 18 months, with $69 million. "Our speed of execution and low costs are the result of careful planning," says Annadurai. When ISRO was set up in the 1960s, moon and Mars missions were not on the agenda, even in the faraway future. "We do not have the fantasy of competing with the economically advanced nations in the exploration of the moon or the planets or manned space-flight," its founder Vikram Sarabhai had famously said. Space technology was purely for the benefit of the society. With such clear objectives, and working in a period when India was very poor, ISRO's leaders developed a style that produced maximum benefits with the minimum of effort. "Frugal engineering comes naturally to Indians," says National Research Professor RA Mashelkar, "which is why India delivers more than any other country per dollar of R&D investment." Mashelkar, along with management theorist CK Prahlad, wrote a landmark paper on frugal engineering in theHarvard Business Review three years ago. According to Mashelkar, Indians learned this technique because of the environment. "Indians grow up in scarcity, but also have high aspirations. These two conditions create a powerful combination," he says. ISRO's ambitions were high, but money was scarce. In the 21st century, when the world tries hard for low-cost access to space, other nations are looking at ISRO with interest and trying to use some of the principles it had perfected. ISRO is also becoming an important collaborator forNASA and Europe. ISRO's engineering now revolves around a few core principles: adapt technology as much as possible, minimise the number of physical models, optimise on testing, and work round the clock. Adaptation is an old method that has now been perfected to an art in ISRO. As in many Indian products, ISRO uses technology in unusual ways not always directly evident to developed country engineers.